Pepsi Company Information Is this your company? Add your own content to this page. 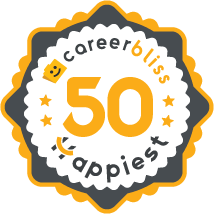 We've calculated that the average salary at Pepsi is $50K based on 2,859 user-submitted salaries A total of 325 Pepsi employees gave Pepsi an average happiness rating of 3.9 out of 5.0. 147 Merchandisers from Pepsi submitted salaries. 4.5 KACC, (Kaveh Aluminum Can Company) Aujan Industries, Coca-Cola & Pepsi are partners of a group of companies producing aluminum beverage cans and variety of fruit juices, beverages, and famous sodas. (KACC) is a joint venture between "Shiraz Dina/ Neysun Shargh Company who are representing Pepsi,” (Pepsi brands, Pepsi, Miranda, 7UP, etc.) "Khoshgovar Tehran Company representing Coca Cola", (Coca Cola brands, Coke, Zero, Fanta, Sprite, Canada Dry, etc.) and "Aujan Industries," who together are the fillers of Aujan brands, (Rani Fruit juices, Barbican, Vimto, Hani, etc.). Aujan corporate history goes back to more than 100 years of being in business with operations in 15 regional locations, brand presence in over 50 countries, and more than 2,500 employees worldwide. At KACC, as the first and “one & only” Aluminum Can Manufacturer Company in Saveh, Iran, we manufacture variety of two pieces aluminum cans for our partners as well as many other customers. It is a great company owing its international success to honest hard work using top international talents. 1.8 While I am appreciative of the opportunity you gave me to work for you, the mentality that PepsiCo is the only place to work in town is only going to give good workers an attitude problem. Promote by competence instead of politics. Quit letting departments dump their work on other departments. Quit taking away from your employees to pad your bottom line. Well at this time I do not have any suggestions for management. I think they are headed in the right direction. However I do feel that if they want to keep the company and its employees' productivity level high, then target the right personnel. You want people who's gonna have immediate impact and put a stamp on the company. Long before it was possible to travel to the local store to purchase a soft drink, people had to create their own beverages. One such concoction, Brad’s Drink, turned out to become the favorite refreshment for many people in the world. Caleb Bradham was attempting to mimic his favorite fountain drink while also improving his digestion and supplying energy to his body. Caleb resided in New Bern, North Carolina, and in 1898, created the recipe that would become known as Pepsi cola. Convinced that his invention could be enjoyed by many, he began selling it in his drugstore and eventually started bottling the drink for distribution to others. This effort led to a worldwide corporation that provides a tasty beverage for anyone. To facilitate the ability for the drink to be available across the globe, Pepsi careers span the gamut of the professional workplace. Not only does the home corporation PepsiCo require experienced managers to oversee the entire operation, but the organization also requires hourly workers to handle the production and distribution of the varying soft drinks the company creates. With endless possibilities to tempt the consumer with classic favors and new taste sensations, working at PepsiCo offers a unique experience to join forces of a company recognized worldwide. With full awareness of their impact upon the globe, the executives of PepsiCo have integrated specific values into Pepsi culture. The company takes a proactive approach toward creating a sustainable growth model that will enhance the lives of the people that consume the product. The company strives to act in a responsible manner that will allow people to trust in the mission of the organization. With an empowered workforce, employees are free to maintain a caring attitude toward the world and the customers in which they serve. This includes understanding the diverse needs of the population that use their products. Unlike other corporations, Pepsi has developed a unique approach toward rewarding their workforce. The Pepsi benefits program is entitled total rewards. This is meant to encourage their employees and compensate them for the effects they bring forth to the success of the company. With a special wellness program that integrates both health and financial success, the organization strives to provide healthy choices for their workers. Providing a robust set of life benefits to assist during a career, the employee assistance programs help people stay focused on their job responsibilities.